← Do You Fear the Vet’s Office as Much as Your Pet? When you take your pet or your animal to the veterinary, you want to make sure that your animal is getting the right diagnosis and being treated appropriately. This is especially true if your pet or animal is at risk for carrying diseases transmitted by insects or worms — heartworms in dogs is common, as are diseases transmitted by horseflies in horses. It’s especially important for animals who are often outdoors to be checked regularly, as they come in regular contact with other animals or insects who may be carriers of a disease. Making sure your veterinary office has the right veterinary diagnostics is also crucial, especially if the animal will eventually be used for food, like cows or pigs. Missing a disease can be fatal for the farmer and the public, especially if the food safety testing doesn’t catch it. What Are Common Diseases for Animals? For your household pets, one common illness that cats and dogs can have is heartworms — a parasitic worm that takes up residence in the heart, lungs, and blood vessels of the dog or cat. This leads to diseses and failure of the lungs, heart, and other important organs. If you live in an area rife with mosquitoes or have outdoor animals, you’ll want to get your pet tested for heartworms regularly or get preventive monthly treatments for your pet, as mosquitoes are a main carrier of heartworm larvae that live in the blood. You’ll want to watch your dog more carefully than your cat, as dogs are natural carriers of the parasite — meaning that the parasite grows quite well inside your dog. Even when treated, the parasite can have long term effects on the dog. About 1 million dogs are tested positive for heartworms every year with a heartworm antigen test and treating them once they’ve been tested positive can be up to $1,000 — much more expensive than simply buying a montly preventive treatment. 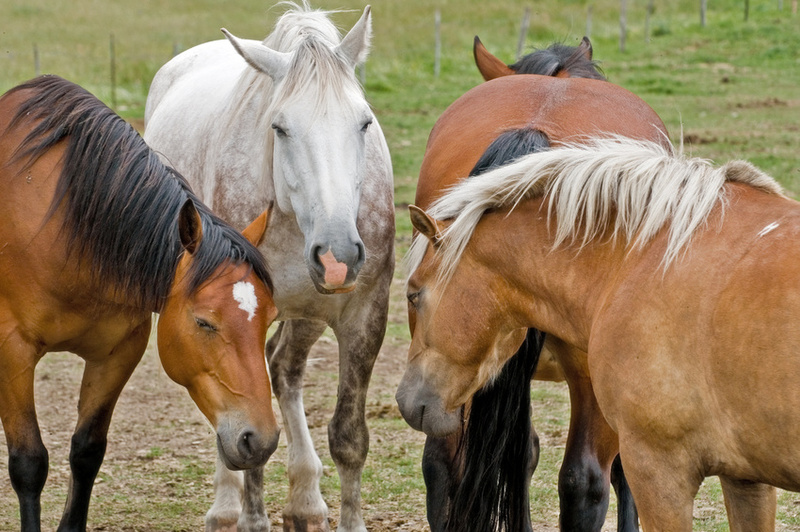 Horses are at risk for EIAV (equine infectious anemia virus) — the horse equivalent of HIV. It’s usually transmitted by flies (like horseflies or deerflies) and horses can die as quickly as two to three weeks after having contracted it. Even more worrisome, an amount as small as one fifth of a teaspoon has enough EIAV to infect 10,000 more horses. What Does Veterinary Diagnostic Work Do? When your pet or animal is tested for a potential illness or disease, the test samples of blood, feces, or tissue get sent off to a clinical diagnostics laboratory. Veterinary diagnostics sent to a lab ensure that an animal disease that could cause humans to get sick is nipped in the bud, makes sure that farmers are able to respond and curb a disease outbreak if it occurs, and maintain and diagnose illnesses in wildlife populations that could have potentially negative effects. Veterinary diagnostics do important work to keeping everyone safe — from the pets we love and consider family, to the animals that provide us with our daily sustenance and without whom we couldn’t live, and keep us and our families safe and well. This entry was posted in Veterinary diagnostics companies, Veterinary diagnostics market, Veterinary laboratory. Bookmark the permalink.